The Way It Is/ Can Mark Miles turn IndyCar around? As any regular reader knows, I'm as skeptical as anyone about IndyCar's future. 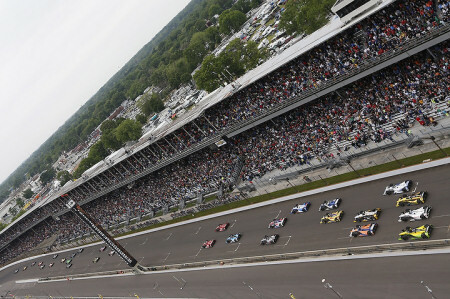 A large hole has been dug over the past fifteen years and it will be a long haul to restore the Indy 500 and IndyCar to their rightful roles as major players in the modern sports market. "To get from where we are to where we want to go is going to take time," Derrick Walker said in this space last week. "We didn't get here overnight and to get where we want to go is going to take a very careful structuring and nurturing of the whole field and the sport. It's not an easy task and it's going to take a lot of time." I've known Walker for more than thirty years and his move to IndyCar gives me more hope and confidence about the future than I've had in many years. As I've written, Walker is one of the most respected men in the IndyCar paddock, a successful mid-level team owner who was able to beat the bigger teams from time to time. Walker is renowned as a first-rate race strategist and is well acquainted with the struggles of owning and operating an IndyCar team. 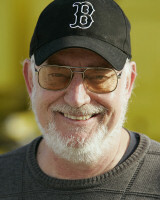 He's also lived in Indianapolis for more than twenty years. In fact, I can't imagine anyone being more prepared to tackle his new job. I don't know Mark Miles. I met him for the first time in Indianapolis last month. I attended a press conference for Miles and Walker on the Thursday before the Indy 500 and enjoyed a short chat with Miles after the press conference. That evening I shared a table with Miles and Tim Cindric at Team Penske's annual Indy 500 media dinner and went to sleep that night with a very favorable impression of Miles. Miles was hired at the end of last year by the Hulman family to serve as CEO of all the Hulman & Co. businesses, which include Clabber Girl baking powder, real estate investments and a television production company as well as the IMS and IndyCar. The 59-year old Miles was chairman of the city of Indianapolis's Super Bowl Hosting Committee in 2012 and was the CEO of the Association of Tennis Professionals from 1990-2005, living in Europe through most of that time. 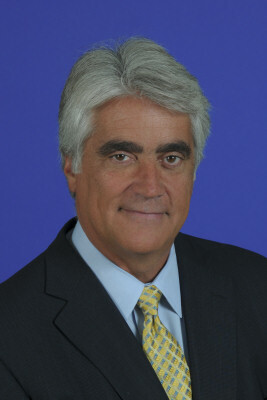 Miles established his career in the sports promotion business by running Indianapolis's successful Pan-Am Games organizing body from 1984-'87. An Indianapolis native, Miles graduated from Wabash College in 1976. Before going into the sports promotion business he worked in politics for a trio of Indiana Republicans--Senator Richard Lugar, Indianapolis mayor Richard Hudnut, and Senator and Vice President-to-be Dan Quayle. Later, during his long tenure with the ATP, Miles moved his family to Florida, then to Europe, where he settled in Monaco, the ideal place he believed to negotiate international TV rights and deal with major corporate sponsors as well as well-paid tennis players and their agents. Miles thrived in this environment and during his fifteen years with the ATP prize money rose from $47 million to $85 million. So Miles has an impressive record and a reputation as an energetic, can-do guy capable both of cajoling and charming people. From my brief exchanges with him I saw a comfortably confident, quick-witted man with a sharp sense of humor. I'm told Miles is also a tough negotiator who is not afraid to fire people he believes aren't doing their jobs--commendable attributes for the man charged with rebuilding IndyCar and the Indianapolis 500. The many challenges faced by Miles and Derrick Walker were underlined by the disappointing TV ratings for this year's 500. The race drew a 3.7 rating with 5.7 million viewers, a fourteen per cent drop from last year's 4.3 rating and 6.8 million viewers. It was the second lowest rating for the race, ahead of only 2010, since the 500 ABC started televising the 500 live in 1986. As discussed in this space in recent weeks, Miles and Walker are deeply aware that to begin to turn IndyCar around they have to bring back record speeds and innovation. But as Walker says, it's going to take time and the fact that IndyCar is stuck by contract with the current Dallara DW12 spec car through 2016 means the sport's primary plague remains in place for another three and a half years. There's no doubt that the vast majority of race fans across America and around the world are turned off by single make or spec cars in what is supposed to be a major international form of racing. It goes against the grain of the sport's basic appeal and is antithetical to the spirit of competition and free markets which have always driven motor racing. In that spirit of competition a small group of people from Audi visited this year's Indy 500. The German auto manufacturer is looking at the possibility of building engines for the IndyCar series. Over the past fourteen years Audi has focused its motorsports effort on Le Mans and international sports car racing but next year Audi will withdraw from that arena as Porsche returns to Le Mans with a new LMP1 car. Audi and Porsche are part of the VW Group of course, and the brands won't compete against each other so Audi is moving on to race elsewhere. Racing is essential to Audi's culture and the company will continue to support factory-backed cars in the DTM in Europe and probably the new American version of the DTM when it comes on-line in the next year or two. IndyCar is another option for Audi although it would be a departure for the German manufacturer to merely supply engines rather than building and racing a complete car. Nor has Audi ever competed in a major open-wheel category, preferring historically to race touring, GT or Le Mans sports cars that more closely resemble the cars it sells. Still, IndyCar might prove attractive to Audi, particularly if Mark Miles and Derrick Walker are able to move forward with opening up the rules and encouraging innovation as they've declared. Among the things Miles and Walker will no doubt consider is introducing energy recovery systems, hybrids and other new technologies to IndyCar. Such things have arrived already in Le Mans sports cars, ALMS and Formula One and if IndyCar is to attract manufacturers like Audi and become more relevant as a whole it must move in this direction. The addition of a third engine manufacturer-- particularly one such as Audi with its well-honed high tech, sporting image--surely would be a good thing for IndyCar. It would also help bridge the gap to 2017 when we hope to see another car builder or two step up to compete against Dallara. That's when we'll begin to see the real fruit of Miles and Walker's labors. Meanwhile, this year's Izod IndyCar Series is wide-open with six winners from the first seven races and a fierce championship battle. Just over a third of the way into the season it's impossible to pick a championship favorite. So far it's shaping up as a battle between Team Penske and Andretti Autosport with Helio Castroneves and Marco Andretti tied at the top of the points after Detroit ahead of defending champion Ryan Hunter-Reay, Scott Dixon and Simon Pagenaud, winner of the second race in Detroit last weekend. Long Beach winner Takuma Sato is sixth in points followed by Justin Wilson, Indy winner Tony Kanaan, James Hinchcliffe and Charlie Kimball. At this stage, Hunter-Reay has been the strongest across the board in most races. He's the only driver to make the podium three times so far with each of a first, second and third place to his credit. Hinchcliffe is the only driver to win more than once so far while Castroneves and Andretti lead the points through consistency, neither winning a race to this point in the season. With twelve races to go neither Dario Franchitti nor Will Power look like being championship contenders. Neither Franchitt nor Power have made the podium so far and both are languishing outside the top ten in points. In Detroit last weekend Mike Conway and Dale Coyne's team and Simon Pagenaud and Sam Schmidt's operation proved yet again that little guys can win in IndyCar. Conway, Pagenaud and James Jakes emphasized the point that despite IndyCar's problems the series is chock full of talented drivers and good teams. Over the years many people have remarked that the sport would be much healthier if IndyCar would only employ the same high level of talented and motivated drivers, engineers, managers, crewmen enjoyed by its race teams. Maybe, just maybe, with Derrick Walker at his side, Mark Miles is the guy capable of improving the quality and depth of the IndyCar organization and making the right choices needed to push American open-wheel racing into a better future.